Next she wanted to go look at the SteamPunk shop again. 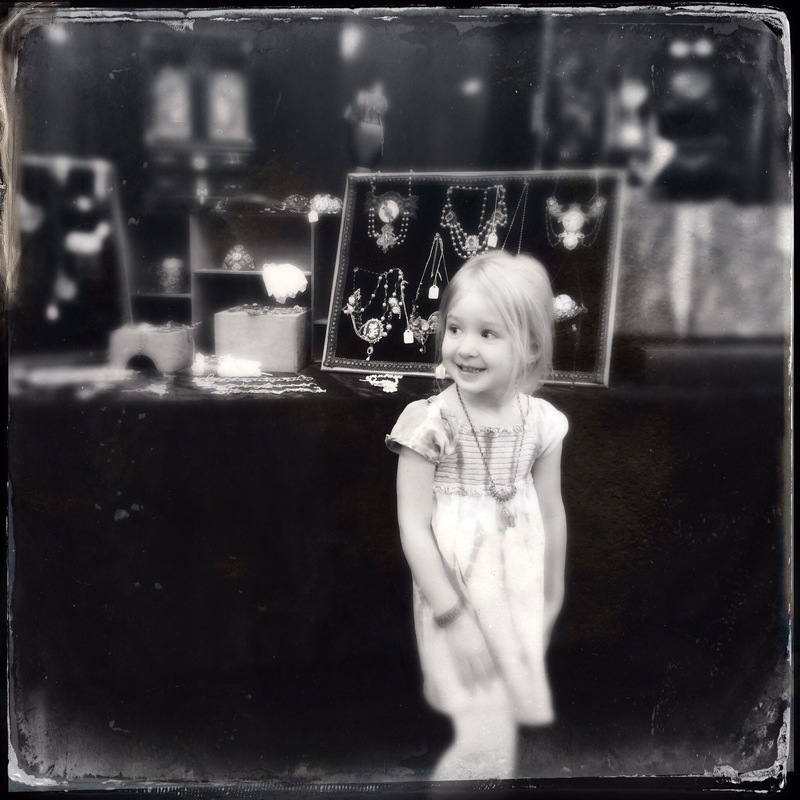 She found some jewelry she really liked, and Sam was kind enough to let her try it on for a picture. 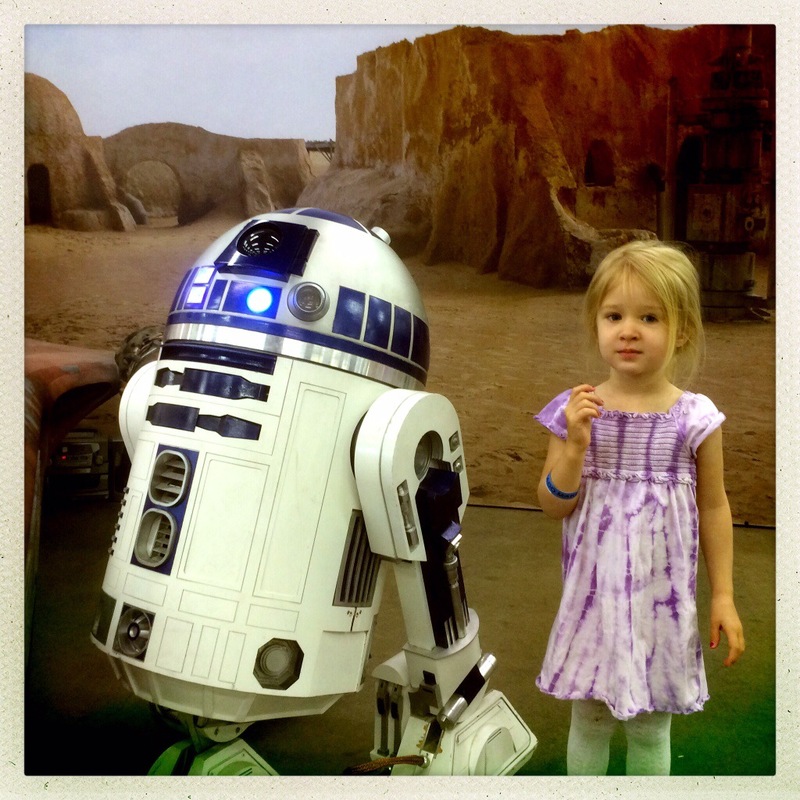 After we got the pretties out of the way, Abigail wanted to play fetch with some of the robots. She would have done this for hours. It is really neat to see her interacting with technology this way. I look forward to the day that a company comes along and does for robots what Apple did for computers in the late 70’s. CubeCraft was a must stop as well. 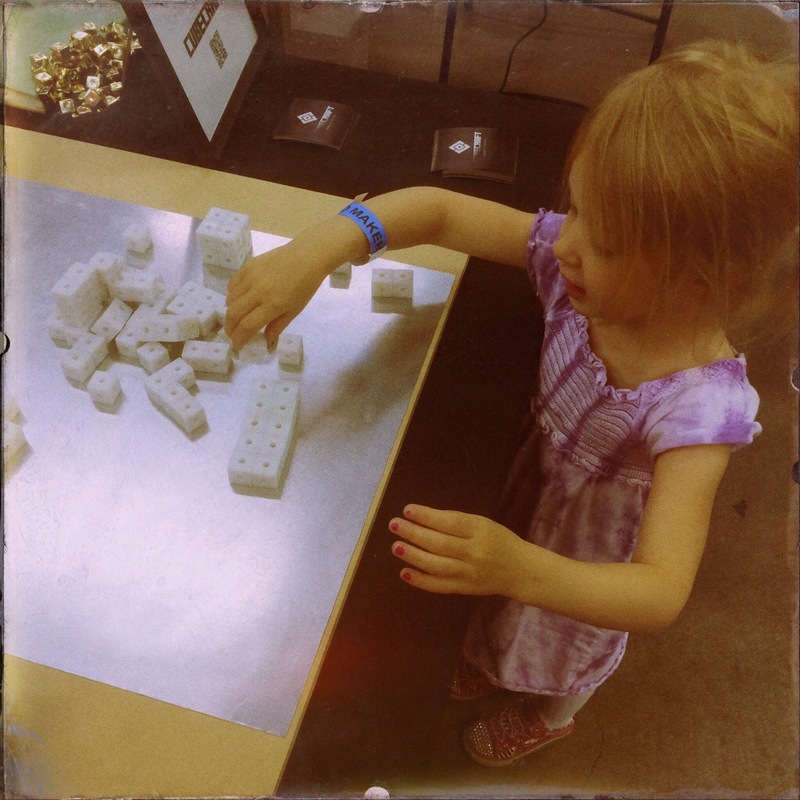 Abigail loves to build with blocks, and these innovative toys kept her focused. That is an impressive thing for a toy to do to a 3-year-old. I look forward to hearing from Jeremy that these toys have gone in to production. 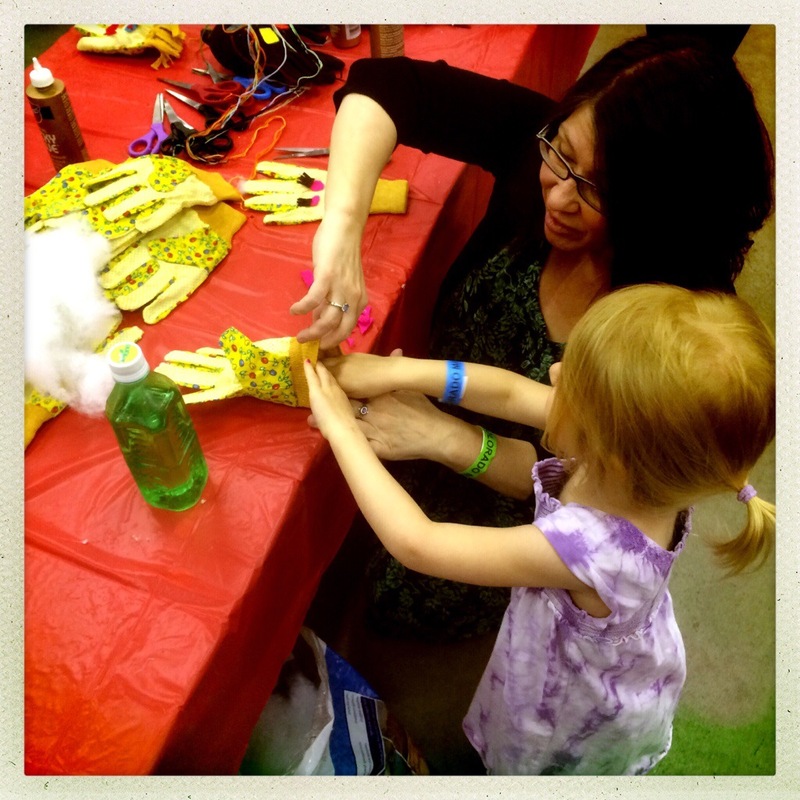 Abigail enjoyed creating a glove monster. The lady that helped her do this was an angel. Sadly, I did not get her name which is more a reflection on my skill than hers. 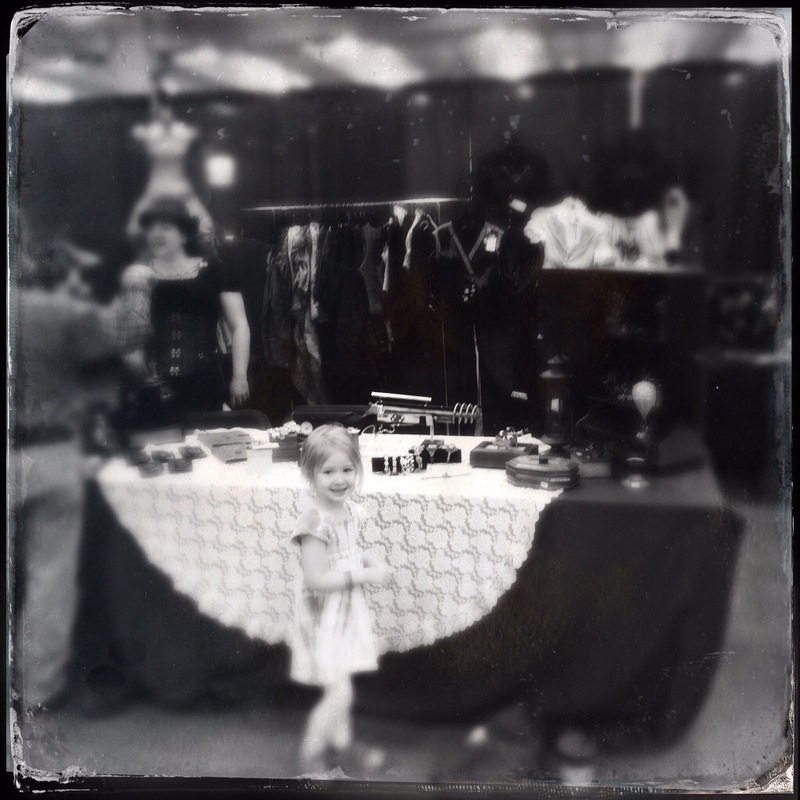 We got to visit one of my favorite booths at the Maker Faire. SparkFun is one of the best bunch of individuals I have seen in the business. They truly understand that they are interacting with people who want to build it better. 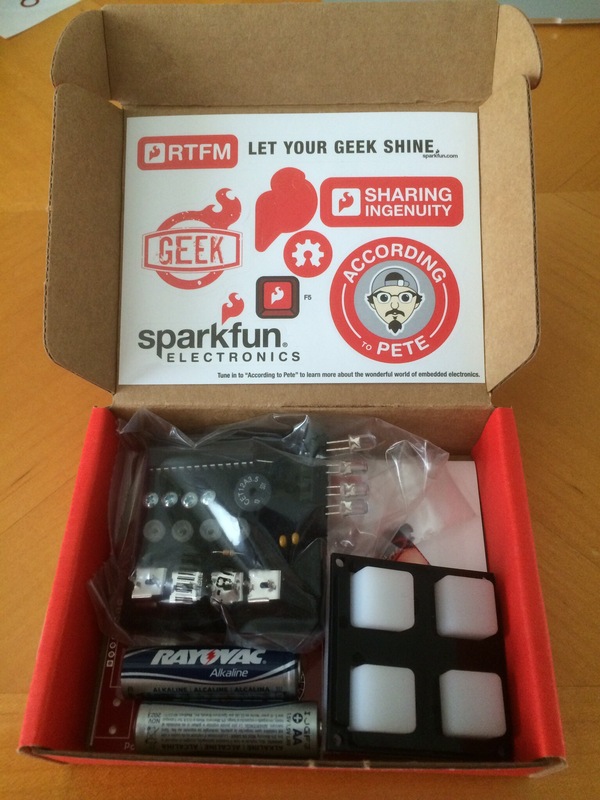 SparkFun went out of their way to do this, not just by teaching soldering. They offered a kit (free of charge) that you could solder, and have a game (Simon), watch (LED screen), or a little “bug.” We picked Simon. Passing one of the booths we saw airplane kits. These interested her. 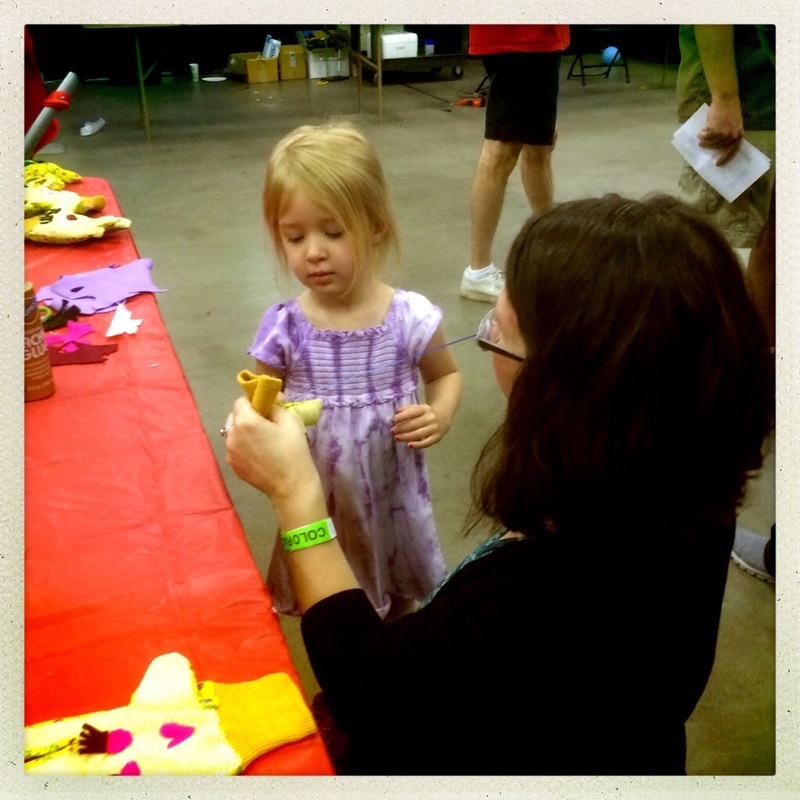 Abigail asked the lady that ran the booth if Abigail could build one. 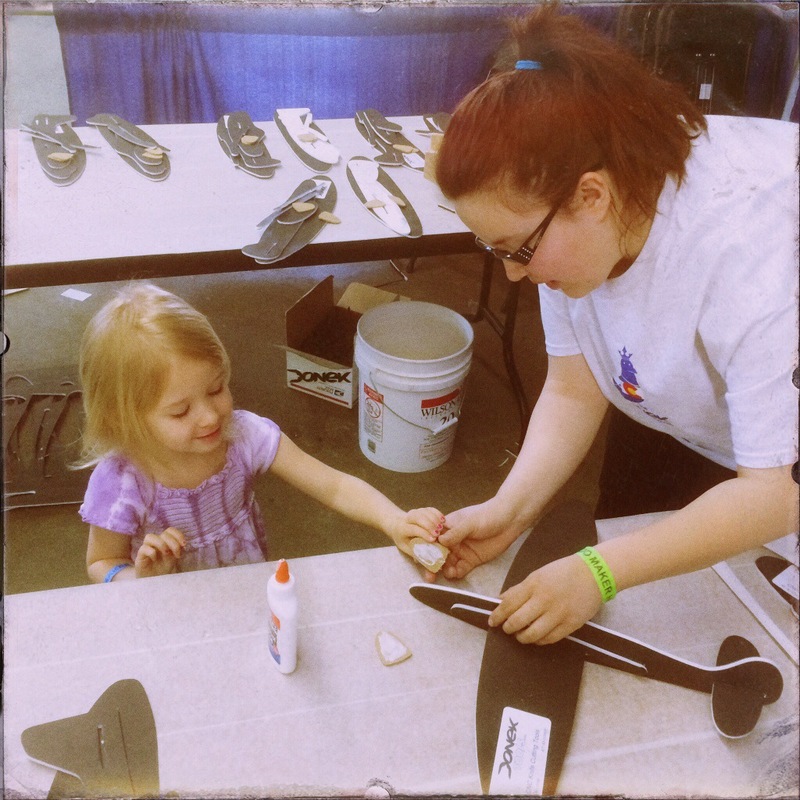 She got to work showing my little girl how to put together an airplane. Abigail could hardly wait for it to dry to go outside and try it out. The plane will survive long enough for Abigail to get some use out of it.